Growing up on Long Island in New York, I was surrounded by a large Italian Catholic population. Fairs were usually held in church parking lots, and with all those Italians around, fair food included zeppoli (an Italian form of fried dough) and sometimes funnel cakes. Kelli, on the other hand, grew up in upstate New York’s Finger Lakes region, about one hour from Syracuse, home of the Great New York State Fair. Going to the fair each late summer was an eagerly anticipated tradition throughout her childhood. At the NYS Fair, there was nary a zeppoli to be found. Instead, fried dough was the norm. Hailing as I did from Long Island, I’d never even heard of such fried dough. In fact, when Kelli and I were recently updating our list of foods we want to re-create in gluten-free form, she accused me of purposefully omitting her beloved fried dough, because I’d included both zeppoli and funnel cake but not explicit mention of fried dough. Silly me, I’d simply assumed that her fried dough was redundant with the other two items. But I was wrong. Kelli gave me a quick crash course in the finer points of proper fried dough. From that point forward, we had a melding of the minds—and a few test batches—to bring you this gluten-free version of her cherished childhood state fair treat. 1. Preheat the oven to 400 deg F.
2. In a small bowl, combine the sugar, water, and yeast. Let set for about 5 minutes until the yeast is frothy and active. 3. In a separate bowl, mix the flour, xanthan gum, and salt. 4. Cut the butter into the flour with your hands or pastry cutter, until you get coarse crumbles. 5. Add the vanilla to the yeast mixture, then mix the liquids into the dry ingredients, stirring to form a wet dough. 6. Divide the dough into quarters. 7. Lightly oil a cookie sheet or baking pan. 9. Set in a warm location and let rise for at least 10 minutes. 10. Meanwhile, add enough frying oil to a skillet (or similar) to a depth of 1 to 2 inches. Bring the oil to 350 deg F.
11. Bake the dough for 3 minutes, just until the edges are slightly dry. (This “sets” the dough so you can handle it and transfer to the oil.) Release the dough from the baking sheet with a spatula if necessary. 12. Fry in the oil for 1.5 minutes per side until golden brown on each side. 13. Transfer to paper towels or a clean paper bag to let an excess oil drain. 14. Finish with a generous dusting of powdered sugar. This recipe is: gluten-free, peanut-free, tree-nut-free, fish-free, shellfish-free, soy-free, vegetarian. This recipe can easily be made dairy-free by substituting a vegan shortening, such as Spectrum. « Are You Getting Enough Magnesium, the Forgotten Electrolyte? I too grew up on fried dough so this is very exciting! Thank you!! I now live in New Mexico where we have a similar food- sopapillas. Sort of like fried dough squares that puff up about 2-3 inches into empty pockets when fried that can be filled with sweet or savory. I haven’t found these gluten free- any ideas on how to use this fried dough recipe and make them puff up? Just two days ago I used the zeppole recipe in your cookbook to make zeppoles for St Joseph’s Day. I think I may have done something wrong though because they were good and crisp on the outside but the insides were wet dense and spongy instead of light and airy. Either way they were still good and we ate them all up! Maybe I’ll try this recipe next time. Thanks! Hi Heather – Sopapillas are leavened with baking powder and are rolled thicker which impacts how they bake. I will put sopapillas on our to do list and we will work on them for a future post! 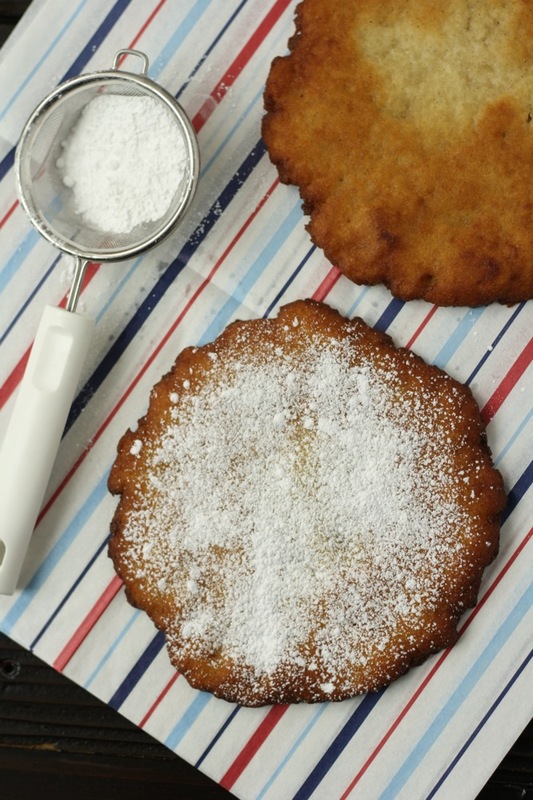 Hi Anonymous – I think you are referring to our beignet recipe in the book, which is fried pate-a-choux. The interior texture is slightly moist and eggy. I have not made zeppoles before, however, they usually have ricotta in the batter instead of the water in the beignets and are leavened with baking powder instead of just the steam from the water evaporating. We have zeppoles on our to do list too and will post in the future! 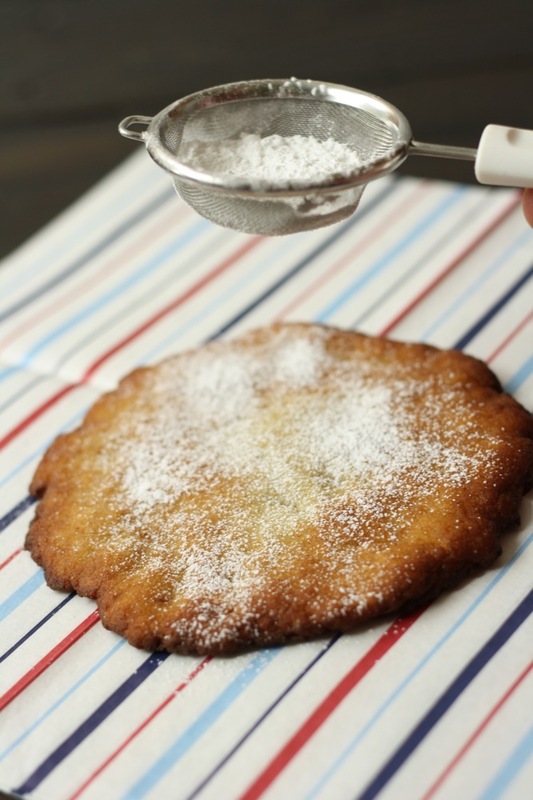 The dough will be quite different from this fried dough recipe that is a yeast dough. Interesting website. Thank you for the sports diet advice. I am a vegan marathon runner following the high-fruit plan which is amazing for quick recovery. I don’t think I have a problem with gluten but I still appreciate websites like this. So many people could perform so much better by paying attention to how their bodies handle certain foods. Check out http://www.foodnsport.com – maybe you could blog about a similar diet, it’s a step further – no grains at all (well, I don’t follow Dr Graham’s diet fully) Just lots of fresh foods! His book “Nutrition and Athletic Performance” is GOLD! Have you heard of it?